Windows users don’t know that they can run multiple instances of the same application on their PC. 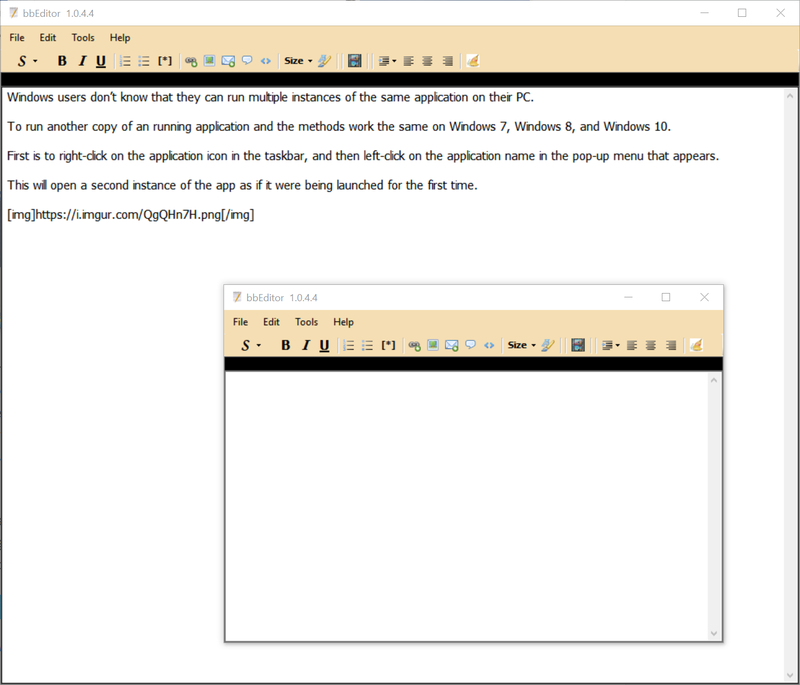 To run another copy of an running application and the methods work the same on Windows 7, Windows 8, and Windows 10. First is to right-click on the application icon in the taskbar, and then left-click on the application name in the pop-up menu that appears. This will open a second instance of the application as if it were being launched for the first time. These two (or more) instances of the application will act and operate independently, allowing you to visualize or manipulate data and text in ways that often aren’t even possible with a single instance.